Kids Dresses Starts At $5! PLUS FREE Shipping! You are here: Home / Great Deals / Kids Dresses Starts At $5! PLUS FREE Shipping! TODAY ONLY! 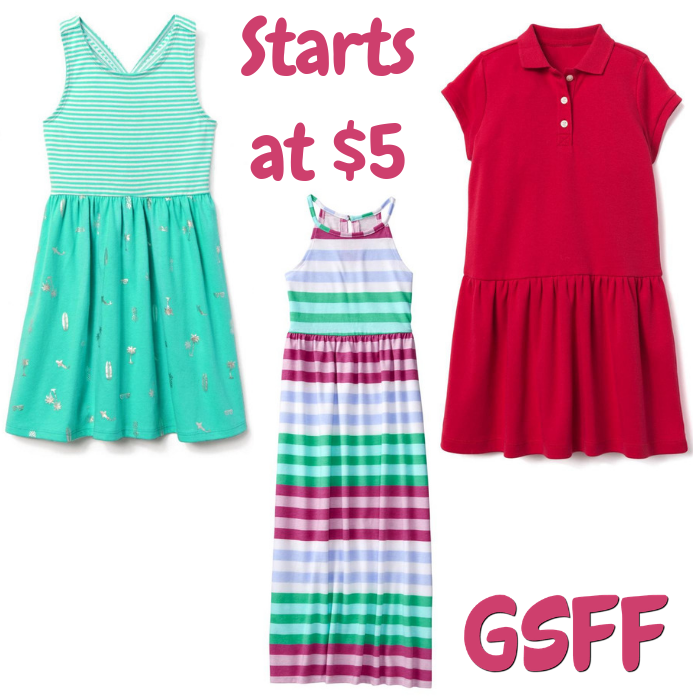 Hurry over to Gymboree where they are offering Kids Dresses for as low as $5 regularly up to $50! PLUS, it’s FREE shipping!